Whip up hearty, succulent sandwiches at your deli with the help of this Kohler 4 lb. turkey breast with peppercorns. 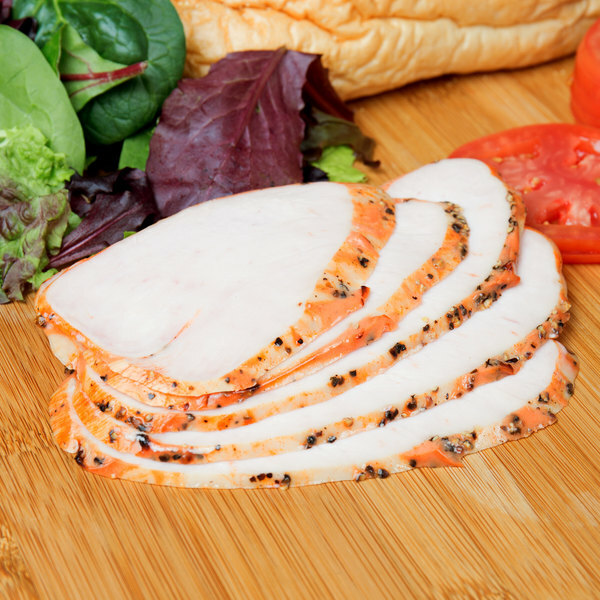 This turkey breast is coated in pepper for a savory, well-rounded flavor that is a great addition to any deli counter. 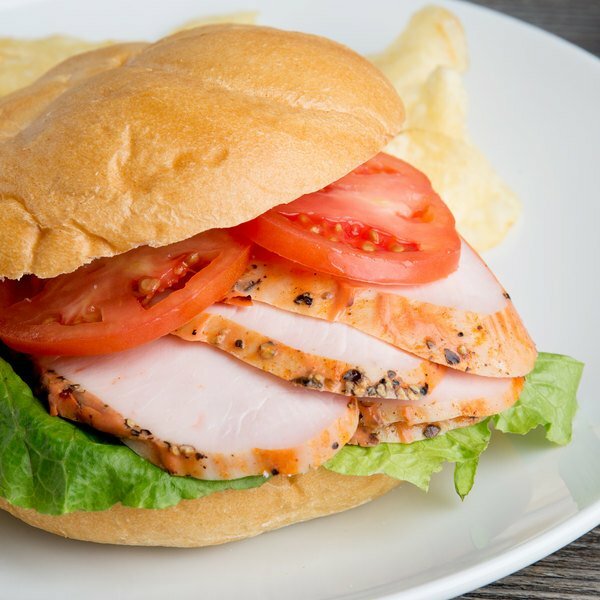 Use this turkey breast for slicing by the pound for customers, or to provide delicious to-go sandwiches, like a turkey sandwich on grilled french bread with pepper jack cheese and roasted red peppers, for your lunch rush. Or, incorporate this meat onto a deli tray, layered with smoked ham, and top round roast beef alongside american and Swiss cheese, for a great party platter option for your customers' events. 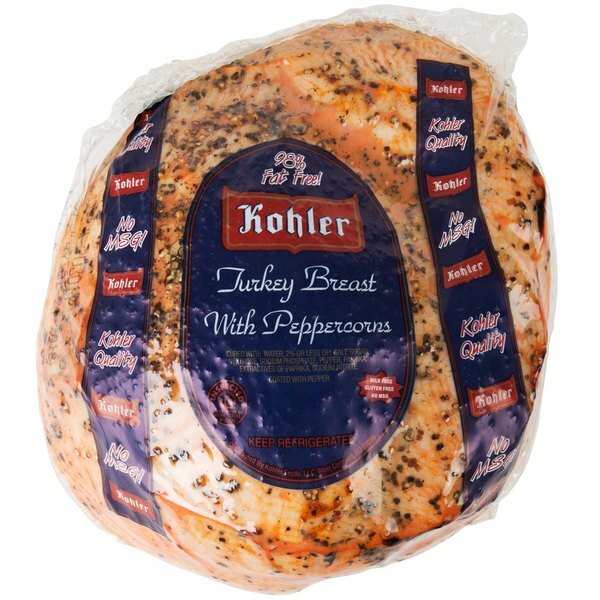 This turkey breast is cured with water as well as a blend of salt and sugar for added flavor and a tender texture. It contains no MSG, and is a low calorie, 98% fat free, lean protein option for your customers. If serving the meat cold, simply slice to the desired thickness!